So where do you find a boat that’s in good condition for a reasonable price? It’s good to know what you’re looking for ahead of time, especially when it comes to price range, size of the houseboat, and how much work you want to put into it. If you can, find someone who has experience with houseboats and talk to them – they’ll have good advice on where to go, who you should hire to help with maintenance, and where the best places are to drop the anchor. If you can’t find someone with houseboat experience, you can go several ways: a large company like the previously mentioned Trifecta Ventures, smaller, family owned companies such as Gibson Boats, or private sellers, some of whom post their “For Sale” signs digitally on sites like Boat Trader, Buy A Boat, or even Ebay. 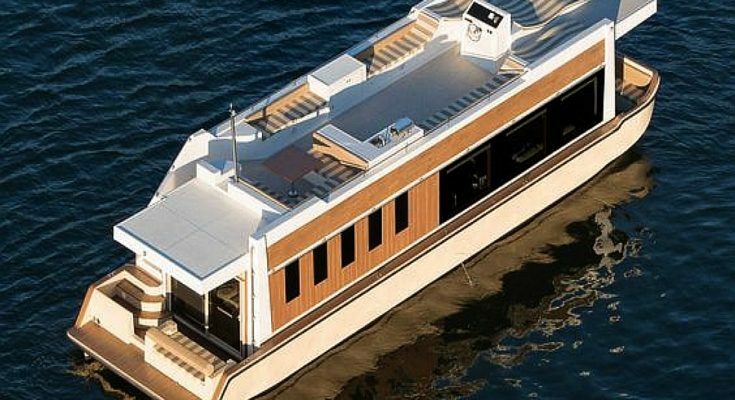 The most popular houseboat brands to consider are the aforementioned Gibson Boats, along with the Stardust Cruisers, Harbor Masters, Adventure Craft, and Sumerset. Keep in mind that some boats are more suitable for stationary homes while others are made to move or be hauled. Read up all you can before you go to the dealer and remember to bring a list of questions with you. You want to make sure this is a good fit because it’s quite an investment.